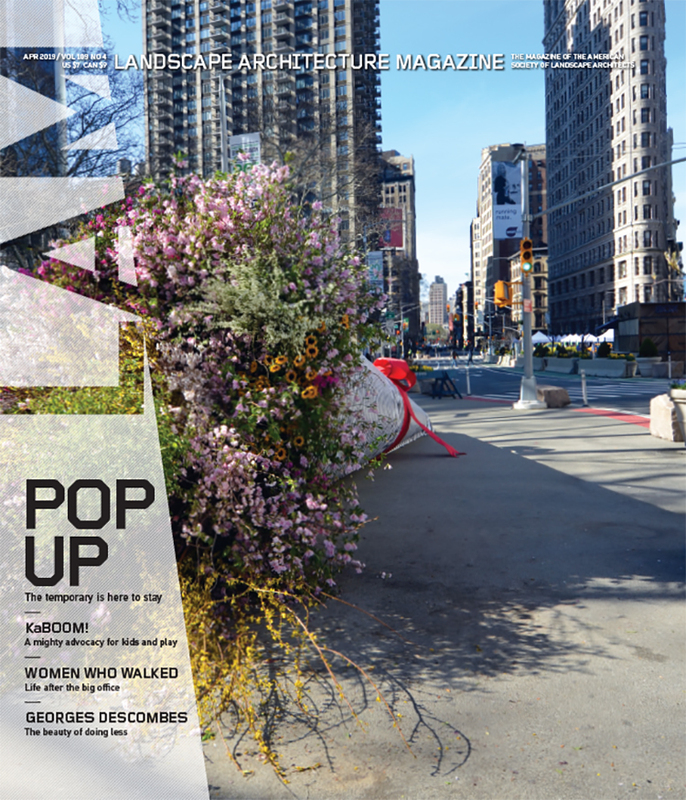 A pop-up park is a cabaret in Camden, New Jersey; a quest to find play voids in cities; a Minnesota lake’s overly rich diet of old phosphorus; Barry Diller’s new pet project in the Hudson River; and more. The global spread of eucalyptus, “fuel tanks wrapped in kindling.” Plus, koalas: indolent, sharp-clawed, and anything but care bears. Regulators in charge of clearing up clouds of particulates blowing off the dried-up Owens Lake in California have reached their ultimate solution: till the lake bed, then flood it gently. Comprehensive schemes for ecodistricts promise greener neighborhoods in ways that avoid regulatory and developer whims. A big hurdle remains in furnishing their heavy utilities. What to know about exudates, cation exchange, tilth, and other vital and all but invisible factors on which thriving soil depends. It’s one thing to live in Napa Valley, and another entirely to make your house blend seamlessly with surrounding vineyards. Scott Lewis Landscape Architecture made it happen. If you must have bollards, at least make them good ones. Set-aside programs for women-owned landscape architecture firms often help some break into projects they might not have otherwise, but they also involve their share of chagrin. Jerry Van Eyck, ASLA, didn’t move from the Netherlands to set up !melk, his landscape architecture and design firm in Manhattan. But it would have been a decent bet if he had, considering the growing book of public space and park business he has going. On Miami’s shoreline of Biscayne Bay, ArquitectonicaGEO has set the stage for a native plant community and flood control around the grounds of a new art museum by Herzog & de Meuron. With the Älvsjö Flatbed in 2001, James Corner was proposing not a design, but a revelatory working method. A review of Natural Burial: Landscape, Practice, and Experience, by Andy Clayden, Trish Green, Jenny Hockey, and Mark Powell. The writing on the website Re:form offers reminders that everything is designed.